To go bigger and stronger into the next round is apparently an unwritten law of the AMB. The AMB 2018 is set to outperform its predecessor in terms of floor space, visitor and exhibitor numbers. Topics such as digitisation are also reaching new dimensions. There is currently no sign of economic or political uncertainty in the machining industry. Business is good, the books are full and the mood could not be better, so we can expect to see a record-breaking AMB in 2018. With the addition of the Paul Horn Hall, the exhibition area has increased by almost 15,000 m², and yet, the fair is fully booked. On a gross exhibition area of 120,000 m², more than 1,500 exhibitors will present their developments and innovations in metal-cutting. The AMB focus will also continue to be on topics that set the pace, such as digitisation. Special attention will be paid to this topic at the AMB with the two-day special show, “Digital Way”, including a specialist congress, which will be held for the first time. With the “Digital Way” to AMB 2018, the organisers are inviting visitors and exhibitors to help shape the networked future of production. According to the organisers, the special show was well received by IT providers, which is of no surprise. 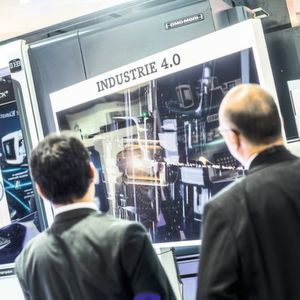 The Industry 4.0 orientation and the combination of congress and accompanying exhibition was indeed welcomed. Furthermore, the international exhibition for metalworking not only offers one of the world's largest exhibitions for machine tools and precision tools, but also an extensive supporting programme: from the promotion of young talent and exciting competitions to special shows and exclusive lectures. If you want to be part of tomorrow's trends live and in colour, you can join the daily innovation tour of the Institute for Production Management, Technology and Machine Tools (PTW) at Darmstadt Technical University. The Institute's special show promises news from the field of metal-cutting production as answers to the challenges of tomorrow's machining. Future-oriented topics such as combining subtraction and addition and increasing energy efficiency of machines and production systems will also be at the focus of attention. To inspire the younger generation for the industry, the special show “Jugend in die Vollen“ or “Youth goes flat out”, will also be taking place this AMB year in an effort to convince them of themselves. Partners such as DMG Mori, Siemens, Trumpf and Heidenhain will be there as attractive representatives of the industry. As a highlight, the prospective metal-workers can expect the depiction of a process chain that will serve to show pupils a production and development process from drawing to assembly live on site. And not just any process chain, but that of a Formula 1 model racing car. As one of the most important participating countries of the AMB, Switzerland will be represented by around 80 exhibitors. The numerous registrations are due not only to the fact that the AMB is located directly on the Swiss doorstep, but also to the good relationship and the interdependence of both countries. Germany is by far the most important market for Switzerland: In 2017, goods of around 18 billion Swiss francs flowed from the Swiss MEM sector to the north, while products of the German mechanical engineering industry were imported for around 24 billion francs. Accordingly, the expectations for the AMB 2018 are high. “No other country imports as many machine tools as Switzerland. The Swiss are benefitting from the dynamically growing global economy, supported by impulses from domestic demand,” says VDW Managing Director Dr Wilfried Schäfer. Several German machine tool manufacturers have successful subsidiaries in Switzerland. German deliveries rose by 5% to around 356 million euros in 2017, making it the eighth most important market. The share of German suppliers in Swiss imports is 46%, more than four times that of Italy, the second most important supplier. Mainly parts and accessories as well as machining centres and lathes were supplied. The outlook for the current year is also good, “because orders from Switzerland have grown by a fifth according to a current VDW survey,” Schäfer continues. Switzerland is traditionally one of the AMB's strongest exhibitor countries. One can also be particularly curious about the exhibitor, United Grinding. The grinding specialists will be presenting their eight brands for the first time at a major international trade fair following their takeover by a Swiss investment consortium led by BZ Bank founder and head of the German technology group, Körber, Martin Ebner. "Our goal is to continue to lead the market with our broad and unique product portfolio and to play an active role in shaping further developments in our customer industries," says Stephan Nell, CEO of United Grinding Group. The AMB in Stuttgart offers the best conditions for this undertaking. Starrag isanother Swiss company with a strong foothold in Germany. Dr Marcus Otto, Head of Transportation & Industrial Components, stands for the close connection between the two countries like hardly anyone else. 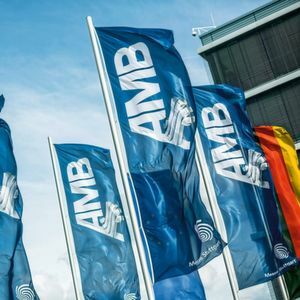 A native German, he heads the Heckert-Werke in Chemnitz, which belongs to Starrag: “We will present an integrated study on factory automation at the AMB 2018”. The focus is on vehicle construction and general mechanical engineering, “industries in which our core competencies of productivity, precision and durability are valued”. The topic of electromobility also remains exciting. For Reiner Wendt, sales manager at precision tool manufacturer Paul Horn, for example, it is not yet clear what effects electromobility will have on his industry. On the one hand, pure electric mobility reduces the number of components to be machined, yet on the other hand, hybrid drives increase the proportion of components to be machined. One development in all industries, however, is the trend “towards materials that are becoming increasingly difficult to machine while at the same time placing higher demands on surface quality, more demanding tolerances and ever smaller components.” This requires completely new, innovative solutions. Examples on show include planing as a process technology in steel materials, jet whirling with internal cooling as well as new grades for high-temperature-resistant materials.